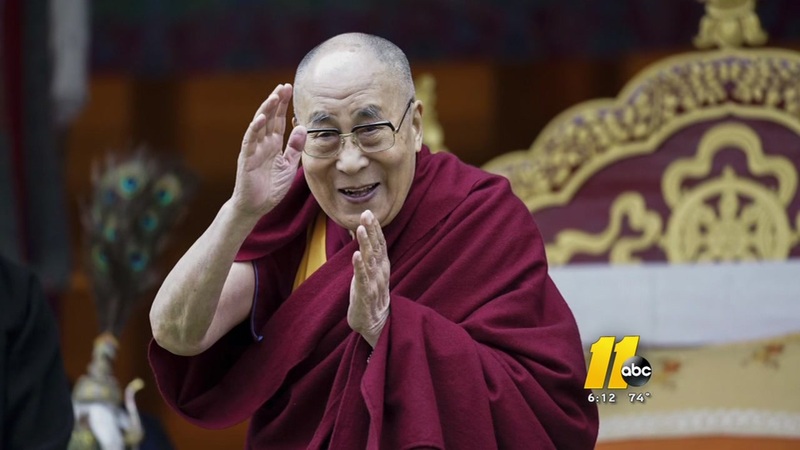 RALEIGH (WTVD) -- The Dalai Lama has canceled his trip to Raleigh that was planned for April, according to Raleigh Mayor Nancy McFarlane. "It is with deep regret that I inform you of a change in His Holiness the Dalai Lama's schedule, obliging him to cancel the majority of his travels abroad, including the United States of America," the secretary of His Holiness the Dalai Lama sent out in a news release. He left open the possibility of visiting the U.S. next year. "We remain hopeful he will grace us with his presence at a future date, and Raleigh is committed to making such a visit an enriching experience with lasting benefits for our community," McFarlane added.